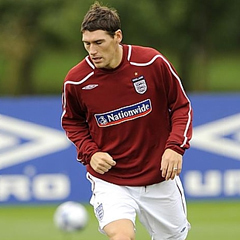 Oslo - Roy Hodgson was left sweating on an injury to Gareth Barry after launching his reign as England manager with a 1-0 win over Norway at the Ullevaal Stadium. Barry had come on as a half-time replacement for captain Steven Gerrard but lasted barely 30 minutes before hobbling off with a groin injury that leaves him in doubt for the upcoming Euro 2012 championship. The Manchester City midfielder faces a scan on Sunday to determine the seriousness of the injury, but with England needing to confirm their final squad for the tournament by Tuesday, Hodgson has little time to play with. If Barry's injury is serious, it could open the door to Liverpool's Jordan Henderson or another player on the list of five stand-by players named when Hodgson unveiled his original 23-man squad earlier this month. Hodgson refused to speculate on the severity of Barry's injury but acknowledged he was "worried" by the development. Meanwhile Hodgson insisted he was satisfied with a solid but unspectacular performance from England, who scored the game's only goal through Ashley Young early in the first half. "I thought we showed a lot of discipline. I thought we worked very hard," Hodgson said. "I don't think we were as good going forward as we have the potential to be. "But I'm not prepared to be critical of our team or anything about our play tonight. It's very much a work in progress -- after three days with this team I've got to be satisfied that we've come here, given a more than reasonable performance and come away with a win." Hodgson also praised the contributions of goalscorer Young and his strike partner Andy Carroll, who is now expected to start England's opening two Euro 2012 matches in the absence of the suspended Wayne Rooney. "I thought he was good. Full-stop," Hodgson replied when asked about Carroll's contribution. The England manager also challenged Manchester United star Young to use next month's Euros as the platform to announce himself on the world stage. "I think he's at the right age, the right time in his career, if he's going to be a top international player," Hodgson said. "The platform is there for him in the coming Euros, and not only the Euros, but in the years to come. "He's had a pretty good season with Manchester United but with all the talent he possesses, now is the moment for him to really kick on and blossom even more." England will regroup next week ahead of Saturday's friendly against Belgium at Wembley, when Hodgson will also have Chelsea's contingent of Champions League winners - John Terry, Frank Lampard, Ashley Cole and Gary Cahill -- available. However Hodgson was coy when asked if the starting XI chosen to face Belgium next week would most likely be the team to face France in Donetsk on June 11. "Allow me to be satisfied with what I've seen from these players tonight and then I'll turn my attention towards the team to play Belgium," Hodgson said. "I suppose the obvious answer is that there is a good chance that some of the players that play against Belgium will play against France but a few players have put a few spanners in the works and given me something to think about." Hodgson also backed defender captain Steven Gerrard, who was relentlessly booed by the home crowd before being substituted at half-time after a thumping tackle on Tom Hogli that led to the Norwegian defender limping out of the game. "All those tackles when somebody comes out on the wrong end of it are heavily criticised," Hodgson said. "But I thought it was a fair tackle. There was no intent to injure. "I can understand the referee in a friendly match penalising it with a free-kick but my take is that it was a strong and brave tackle and the type of challenge I hope our players are going to be putting in at the Euros because it shows their commitment."